While land theft was the wide agenda of the British Mandate in Palestine, it also stole livelihood of which had formed a part of the identity of thousands of Palestinians. Despite the gaping hole of the loss of land that shaped Palestinian national identity for the following decades, it became at the same time a renewed cause for resistance, which continued to galvanize revolutions and Intifadas from 1936 until today. 1. Nakhleh, Kamel Mahmoud. Filastin wa al-Intidab al-Britani [Palestine and the British Mandate]. Beirut: 1974, p. 27. These successive crises fueled the British Mandate’s policies of counterinsurgency. The administration levied exorbitant taxes upon Palestinians ever since it took control over the country, collecting the taxes in the Egyptian currency without taking into consideration the prevailing miserable economic conditions.1 British authorities also tightened the screws on farmers by preventing them from using the railway to ship their crops, which in turn led to the crops’ overaccumulation and a decrease in their price. As a result farmers were unable to pay their taxes. 1. Al-Jundi, Radwan. Siyasat al-Intidab al-Britani al-Iqtisadiyya fi Filastin 1922-1939 [The Economic Policies of the British Mandate in Palestine 1922-1939]. Amman: Dar al-Karmal, 1986, p. 17. 1. Yassin, Abdul-Qader. Thawrat 1936 al-Wataniyeh al-Filastiniyya: Ma’ali Ahmad Ismat, Waqa’i al-Thawra [The Palestinian National Revolution: Ahmed Ismat, Proceedings of the Revolution]. Cairo: Markaz al-Mahrousa lil Nashr wa al-Khadamat al-Sahafiyya wa al-Ma’lumat, 2007, p. 181. 1. Kabaha, Mustafa. Thawrat 1936 al-Kubra: Dawafi'uha wa In'ikasatuha [The Great Revolt of 1936: its Motivations and Implications]. 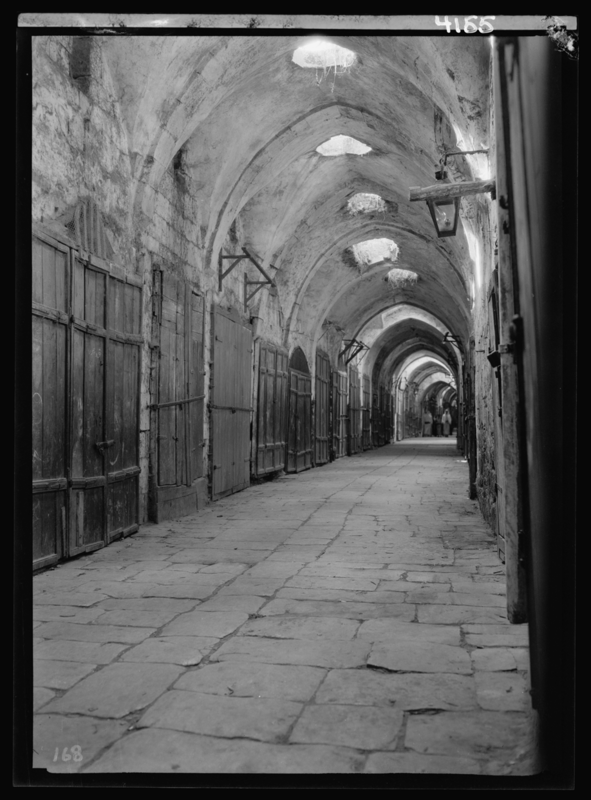 Nazareth: al-Quds Library and Publications, 1988, pp. 26-27. 1. Himadeh, Said. The Economic System in Palestine. Beirut: The American Printing Press in Beirut, 1939. 2. Kayyali, Abdul Wahhab. Tarikh Filastin al-Hadith [The Modern History of Palestine]. Beirut: al-Mu'assasa al-Arabiyya lil Dirasat wa al-Nashr, 1999, p. 223. 3. Kanafani, Ghassan. The 1936-1939 Revolt: Background, Details and Analysis.” Palestinian Agency for Journalism and Publications. Jerusalem: Nasser Printing Press, p. 30. The Mandate authorities’ unilateral decisions and clear favoring of Zionist forces in Palestine led to the growth of the Jewish economy at the expense of the owners of the land. Coupled with poor management and coordination, and the weaknesses of the Palestinian leadership, the British granted the Zionists all the privileges that enabled them to seize the wealth of the country. This seizure was carried out through the acquisition of large companies and projects, such as the Palestine Electricity project, the drainage of the Houla Lake project, and the Tel Aviv port. By the mid-1930s, Palestinians reaching their breaking point after British colonialism and Zionist colonization stripped them of their means of survival. This set the stage for the outbreak of revolution. Throughout the Mandate years, peasants and farmers were struck hard after the systematic dispossession of their lands. Unemployed, unable to provide for their families, they revolted against colonial policies. 1. Hassouneh, Khalil Ibrahim. Al-Thawra al-Sha'biyya al-Filastiniyya: Thawrat 1936 Namudhajan [The Popular Palestinian Revolt: the Model of the 1936 Revolt]. Gaza: al-Markaz al-Qawmi lil-Dirasat wa al-Nashr, 2001, pp. 55-56. The peasants and poor made up more than 90 percent of the revolutionaries of the Palestinian Revolution They were able to declare a revolution that was later joined by all segments of society, during which they managed to escalate their confrontations against the British and the Jews. Early on in the revolution, Palestinians realized the effectiveness of economic resistance and its importance in tipping the scales in their favor and achieving victories on the ground. This was especially true given the large military gap that put them at the bottom of the pyramid in terms of strength and the ability to wage a direct military war. Consequently, they declared a comprehensive strike that paralyzed all economic facilities, having little left to lose by already being dispossessed of most of their land and property. 1. Kanafani, Ghassan. The 1936-1939 Revolt, pp. 59-60. 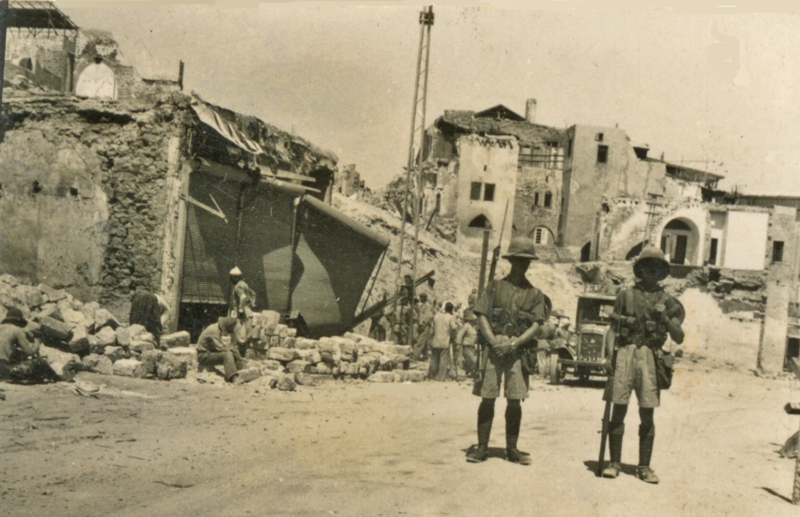 With the outbreak of the revolution and the intensification of fighting against British and Jewish forces, the Palestinians began to carry out operations that targeted the resources and properties of the British and Jewish forces alike. The operations were in retaliation for the British destabilization of Palestinian economic capabilities, and sought to undermine British military supremacy on the ground. The strike directly halted governmental, agricultural and construction work. 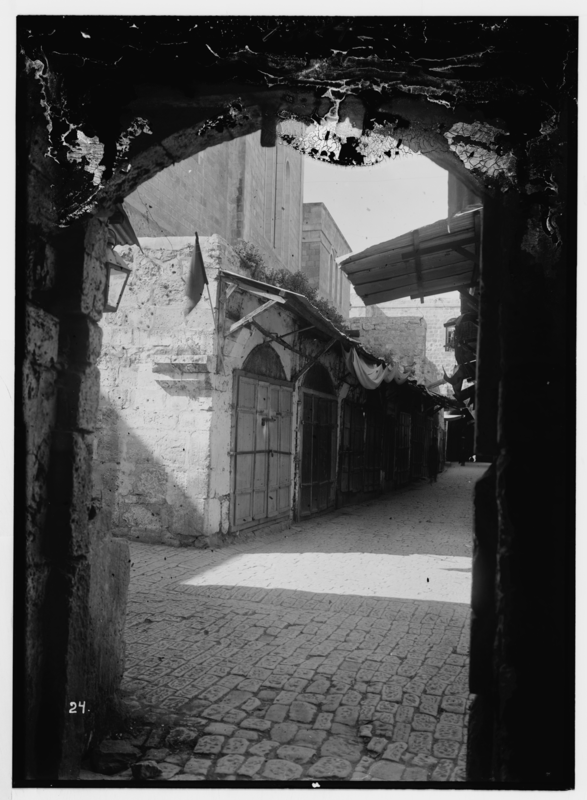 The port was also stopped in Jaffa and Jewish factories were halted by a strike by Arab workers in stone quarries. 1. Khalifeh, Ahmad. Al-Thawra al-Arabiya al-Kubra fi Filastin 1936-1939: al-Riwaya al-Isra'iliya al-Rasmiya [The Great Arab Revolt in Palestine 1936-1939: An Official Israeli Account]. Beirut: Institute for Palestine Studies, 1989, p. 18. 2. History of the Haganah. Volume 2, Part 2. 1959, p. 650. 3. Yassin, Palestinian National Revolution, p. 99. These attacks struck at the economic foundations of the British and Jewish presence in Palestine, upsetting the balance that colonialism counted upon while Palestinians were starving. It also caused an imbalance in power, even for a short time, at the expense of the enemy, which had fortified itself over many years by military force. This was evidenced by an official British statement describing the misery in which their Mandate was engulfed at the time. 1. Al-Asali, Bassam. Thawrat Shaykh Izzeddin al-Qassam [The Revolution of Sheikh Shaykh Izzeddin al-Qassam]. Beirut: al-Diwan, 1991, p. 157.